This week’s picture is one that was made on the set of Elvis his 26th movie, ‘Stay Away, Joe’. 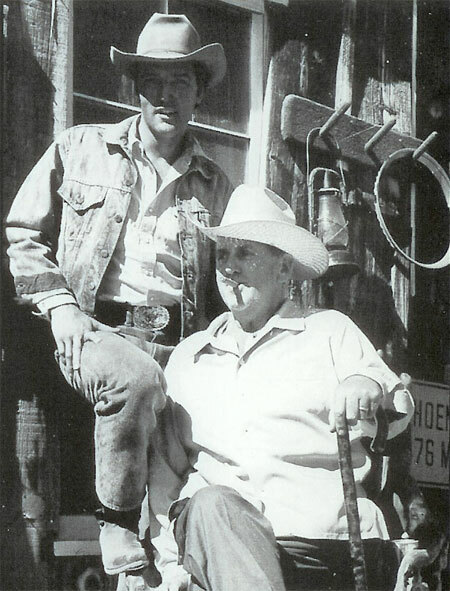 We can see Elvis standing next to his manager, the world famous Colonel Tom Parker. The movie was released in 1968, although shooting took place in October and November of the previous year. For the movie, a Navajo Indian reservation was reconstructed in the foothills near Sedona, Arizona. Elvis arrived there on October 8th 1967, a couple of weeks later, on the 26th, Priscilla and several other wifes & girlfriends will join him there. The Colonel was pretty busy trying to get Elvis some new work, after all… his movie contracts have run out. And around this time he will make a deal with National General Pictures for one movie, a western called ‘Charro’. On the same day shooting was complete for this movie, another one opened nationwide, it was ‘Clambake’.